TSC offers high-speed wireless internet using radio frequency (RF) technology. We provide a constant connection, with minimal latency, no data cap, and faster speeds than our competitors. TSC currently offers wireless service to the Convoy and Van Wert Ohio areas. To provide wireless service, an antenna is mounted on the side of the house or business, a cable is ran from this antenna to a location of a customer’s choice, and a POE (Power over Ethernet) box is plugged in near the computer or router to provide internet access. Wireless internet services requires a direct line of sight from your home, our antenna, to a wireless access point. The map above provides an estimate of our wireless coverage area.  To become eligible for service offered by TSC, a member of our staff will perform a free site analysis to ensure service to your location meets our line of sight and signal strength criteria. TSC currently offers wireless service to the Convoy and Van Wert Ohio areas. Interested in having your address checked for wireless availability, or simply have a general question?